Just last week I created this post HERE that I didn’t know would impact a lot. I guess we’re on the same page when it comes to those which ruin our budget. (wink*wink*) But today’s post will be MORE THINGS THAT RUIN MY SAVINGS... and again MAYBE YOURS TOO. Don’t forget to Comment below or Message me in my Contact Form if you happen to be guilty too with this budget boos. Together let’s stash these money mannerisms AWAY TO OUR SYSTEM! Have you said this phrase to yourself? That you needed that red dress or that black stilettos. Or that makeup even if you still have a lot of spare and even more makeup that you still haven’t opened. This money boo is very common especially for us girls (ehem*ehem*) because we have low tolerance for satisfaction and in our blood runs this 8-letter word S-H-O-P-P-I-N-G!!! 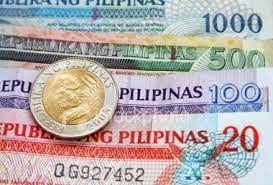 MAY PERA PA KO SA ATM! Those words seem like song in my ears. I felt like it was just last week since I told this very line to myself. Sometimes the thought that you still have money in your bank account gives you so much freedom to spend. I guess that’s why I opted to the BPI Save Up plus Insurance for my other account because in that case I can’t withdraw my savings and only transfer it to my other account. Also it is powered by life insurance too. As the saying goes, Tell me who your friends and I tell you who you are. Sometimes we get pressured of what others will say unto us that it at some point affects our lifestyle. For example, all your friends does Starbucks thing every day because they feel like it is the cozy place to drink and chat. Of course since you belong to that circle of friends you will also have to spend for that frappucino or coffee Americano. No, I am not telling you to stop being friends with them... all I’m saying is if it can be avoided then do so. Share to your circle of friends how addicting saving will be or just it once a week and find other cozy places wherein you can just sit and relax and talk more without ripping all your allowance.